Enhances natural colour on Bays, Chestnuts and Palominos. This deep cleansing shampoo brings out the richness of colour and leaves a polished shine on the coat. Contains a natural fly repellent. 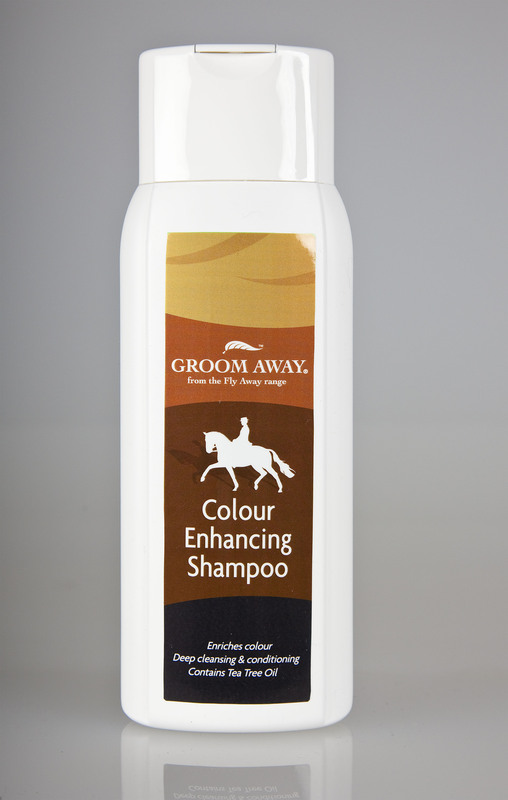 There are currently no questions for Fly Away Enhancing Shampoo for Horrses - be the first to ask one!